Tonight I was in the mood for something small but filling. I sat and thought about how I wanted some crescent rolls and something with chicken. well I put the 2 together. I have done a similar Salmon pocket before, but this time around I decided I would make it with chicken. 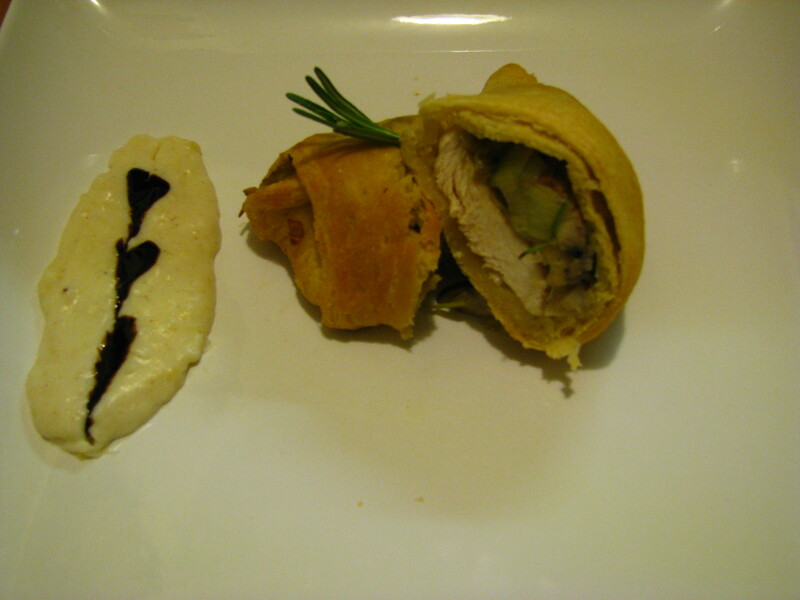 Simple all you do is take some crescents, cook your chicken and your leeks, garlic, fresh rosemary and mushrooms. Place everything in the dough and cook in the oven. While that is baking, make a white creamy Bechamel sauce (aka White sauce) add some nutmeg in there and a little salt and pepper to taste. Place on the side dish with some dots of balsamic glaze. 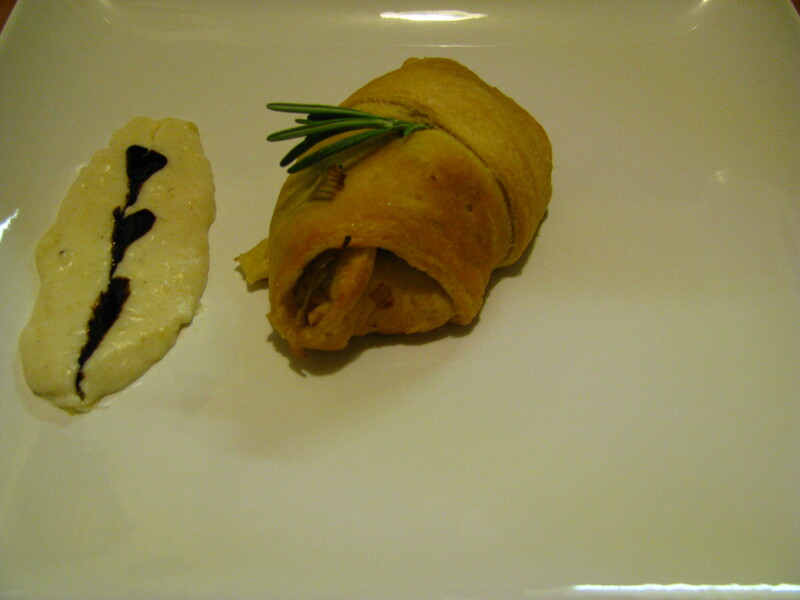 After the pockets are done place on dish with sauce and while eating, dip the chicken pocket in the sauce. This is a great small dish that you can have with some salad or just on its own. Enjoy! I’ve been looking for new leek recipes as we have an abundance of leeks this year…. Leeks are so delish alot of people over look them. You can also make a leek casserole which I plan on making as a side dish this thanksgiving. Crescent rolls are so flexible. You can do soooo many super things with them!! These look great! I wanted to drop you a quick line to let you know that I’ve moved the hosting for Sugar Dish Me. The address is still the same http://www.sugardishme.com/ and since it won’t appear in your wp.com reader anymore it would be great if you re-subscribed via email or rss feed. I don’t comment here much, but I’ve followed along and enjoy your recipes — even watched your cool spot on The Chew! !